#1 INTP Book on Amazon! INTPs are the most philosophical of all the types. They love contemplating life, humanity, and the broad ways things are interconnected. They are also concerned with the perennial question of “how to live.” They loathe the idea of a mediocre life and have a deep sense that they should be doing something important with their lives. But in order to know what that entails, they feel they must first know themselves; self-knowledge must precede action. Unfortunately, pinning down who they are is rarely as easy as it might seem. It can take years, even decades, for INTPs to find themselves. And as much as they’d like to, they can’t put their lives on hold while they figure themselves out. Thus, they may at times feel forced to make unwanted compromises in their careers or relationships. Despite these challenges, INTPs can and do progress in their search for truth, meaning, and self-understanding. And this book can powerfully aid and expedite that process. Through the clarifying lens of personality typology, it reveals the deeper sources of INTPs’ struggles and dilemmas, as well as potential solutions. If you’re looking for a clear, honest, and penetrating analysis of the INTP, this book is for you. Discusses how ﻿INTPs compare to similar personality types such as the INTJ, ENTP, INFP, etc. "Can't say enough good things about it." "After much unfulfilling research online and through many books about possible career paths for INTPs I found this book to be informative on another level to say the least. I cannot say enough good things about this book and how much it has meant to my personal growth and development. No filler in this book! Simply a must for any INTP wanting an in depth user manual for their inner mental workings. To the author I say thank you for creating such a book." "Not to knock all the other online and printed material I have read on Myers-Briggs Personality Types, I found this book to be the most profound and insightful one. Ever since I found out about MBTI two years ago, I've been on a mission to find out as much as I can about myself. All the other things have been very helpful in steering me in the right direction as far as career goes; however, this ebook on my type has been more specific on things about me in how I conduct my life in other areas, as well. Life has been a struggle for me in terms knowing what types of careers and relationships are right for me. Now I have more confidence in myself and my choices to ignore all the people in my life who say I'm wrong for thinking and living my life the way I should." "Not only is this book well-written, well-organized, and easy to understand, but is also deeply insightful. 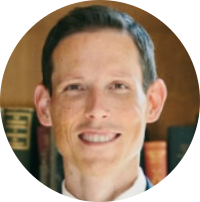 I got the sense that Drenth is a master of 16 personalities typology and the INTP in particular. So many things stand out: The phrase "fiercely independent." The way we struggle to relate to other people. The way we put so much emphasis on the spiritual and intellectual meaning of our work and careers. 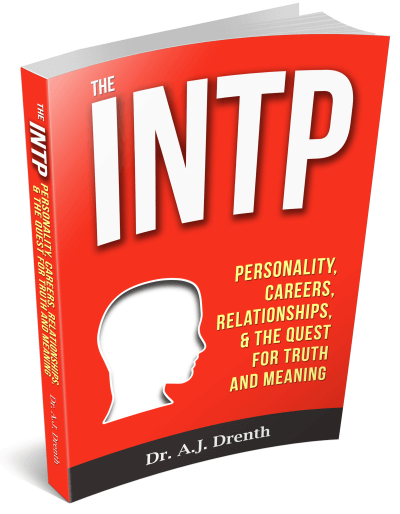 I recommend this book to anyone who is an INTP or has an INTP loved one." "Digs deep into the life of an INTP." "Wow! This book has been so helpful for me. I discovered that I am an INTP from other websites. But it has been hard for me to find a book like this that really digs deep into the life of an INTP and addresses the never ending questions and wonders that a typical INTP would have. It is incredibly accurate... Even though it is somewhat discouraging to be made more aware of what people of this personality struggle with, it also gives me hope to see that INTP's can be very successful and find a way to be satisfied with life. I tend to be skeptical (typical of the INTP mindset) of buying books for fear that they won't be worth it or will only explain what I already know or don't care to know. If you are an INTP, I can safely assure you that you won't be disappointed." Career Choice: Journey or Destination?